Our expert team are always on hand to help! 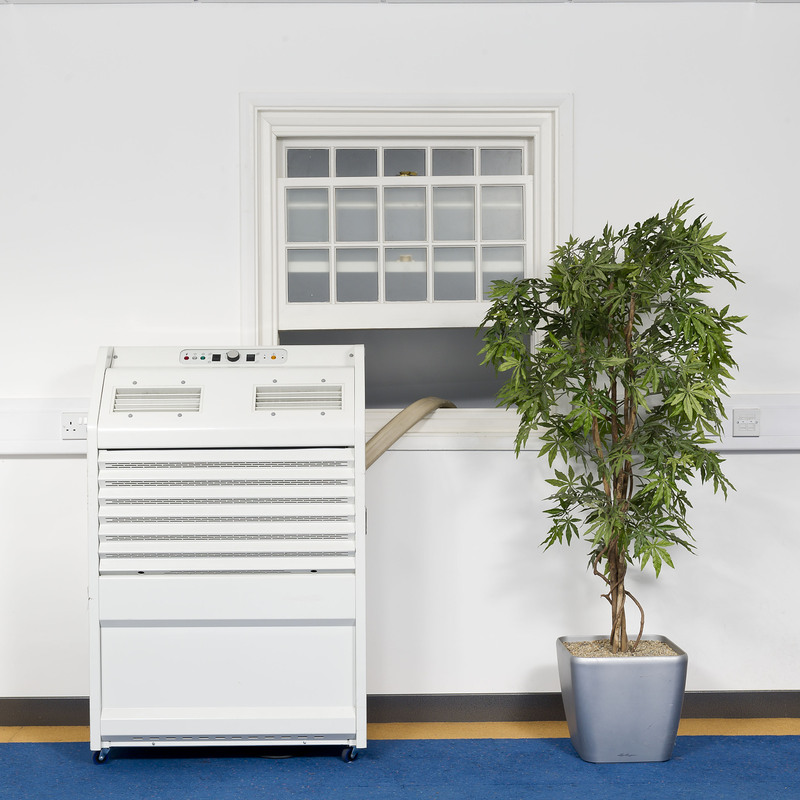 Our wide range of portable air conditioners are able to cool down rooms, shops, offices and even server rooms. From domestic to industrial uses, our portable units are available to hire throughout the year. All of our mobile air conditioners cool down the room by extracting the warm moist air from the room and venting out cold air. They all have a hose extension which is required as an exhaust for the hot air which must be vented out of a window, door or wall. 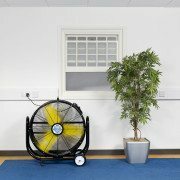 Should there be the situation where the hose cannot be used, we also offer a wide range of evaporative cooler and fans. Don’t hesitate to call our friendly team of experts to get advice when choosing your new air conditioning unit. 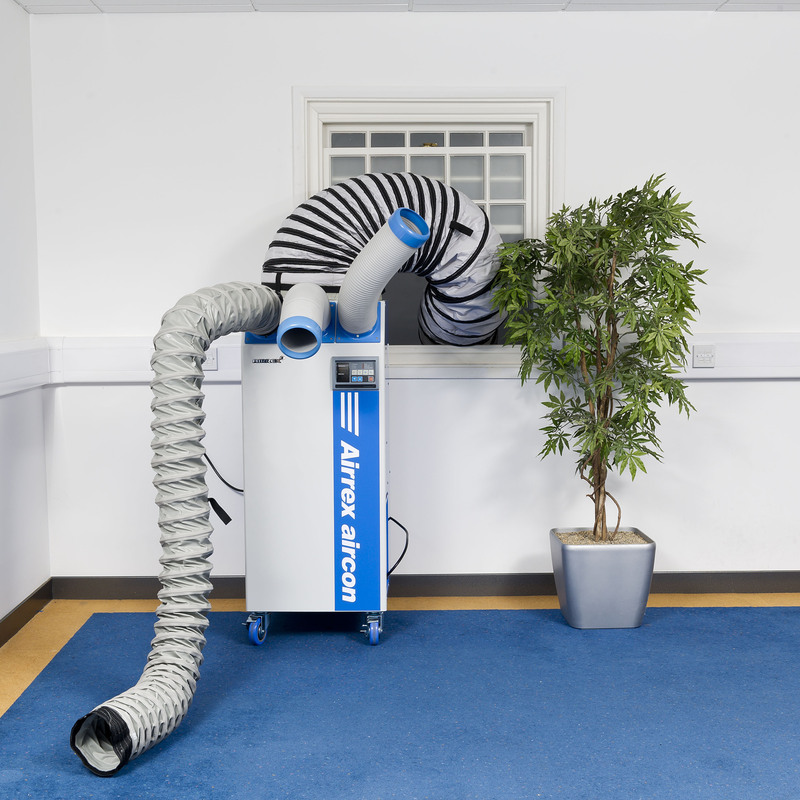 Avoid the heat this summer by hiring one of our portable air cooling units. Get same day delivery (working days) in London when ordering before 2pm. Pay for just 8 weeks at our standard hire rate and you can keep the unit for 52 weeks at no extra cost! You also get to spread out the payments over the period making it much more manageable. Pay for just 10 weeks at our standard hire rate and you can keep the unit for 52 weeks at no extra cost! You also get to spread out the payments over the period making it much more manageable. Pay for just # weeks at our standard hire rate and you can keep the unit for 52 weeks at no extra cost! You also get to spread out the payments over the period making it much more manageable.